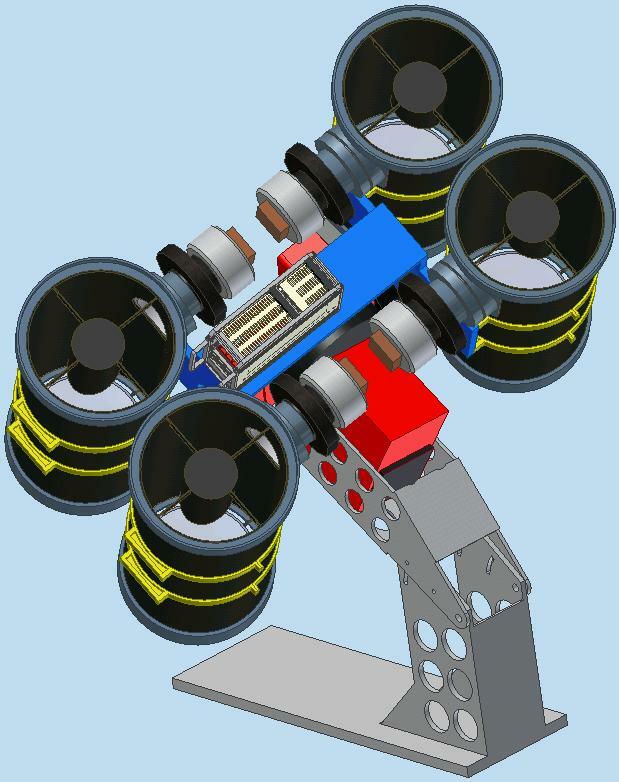 Alternate ATLAS design with 3x in the collecting area and in the field of view (Credits: fallingstar.com). A team of astronomers from the University of Hawaii is developing a system to indentify dangerous asteroids before their final fall to Earth. According to the researchers, the system will offer a 1 week warning for a 45 meter diameter and 3 weeks for a 140 meter diameter asteroid. “That’s enough time to evacuate the area of people, take measures to protect buildings and other infrastructure, and be alert to a tsunami danger generated by ocean impacts,” said John Tonry, principal investigator for the project. The system, called Asteroid Terrestrial-Impact Last Alert System (ATLAS), will operate up to 8 small telescopes, each fitted with cameras of up to 100 megapixels, on mounts housed at one or two locations on the Hawaiian Islands. ATLAS will patrol the visible sky twice a night looking for faint objects moving through space, starting by the end of 2015 when it will be fully operational. The project got a $5 million grant from NASA Near Earth Objects Observations program, with $3.5 million allocated for design and construction in the first 3 years and the remnant for operation in the following 2 years. ATLAS will complement the Institute for Astronomy’s Pan-STARRS project, a system that searches for large “killer asteroids” years, decades, and even centuries before they might impact Earth. However, while Pan-STARRS takes 1 month to complete one mapping of the visible sky in a deep but narrow survey, ATLAS will look in a closer and wider path to help identify the smaller asteroids that hit Earth much more frequently. Early ATLAS design concept. (Credtis: fallingstar.com). Most asteroids reside in the main asteroid belt between Mars and Jupiter. However, some asteroids, called near-Earth objects (NEO), can orbit much closer to our planet; sometimes their paths can bring them on a collision course with Earth. Such space rocks can represent a significant threat. Scientists estimate that about once every few hundred years Earth is hit by a potential killer asteroid. The most recent impact of this kind was the Tunguska event, in Siberia, that occurred 103 years ago. Tonry is very confident in ATLAS’ capacity to observe NEOs and he compared the network’s sensitivity to detecting a match flame in New York City when viewed from San Francisco. ATLAS will not only look for asteroids, but will also look for dwarf planets, supernova explosions, and other astronomical events. While ATLAS will observe the sky from on the ground, Canadians are building in-orbit systems (NEOSSat and Sapphire) to detect and observe NEOs. These are just a few of the asteroid monitoring projects whose profiles have been raised by the failure of any existing monitoring program to detect the damaging Chebarkul meteor.